There is an old saying that a picture can be worth one thousand words. While this old saying is true, there are some pictures that can inspire way more than one thousand worlds or way less, depending on the subject of the image. 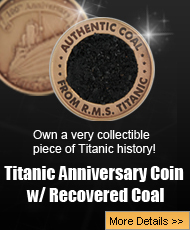 One of the biggest disasters of the 20th century involves a ship called the RMS Titanic. The ship was on her maiden voyage, and after just four days, the ship was going through fast through ice-filled water, struck an iceberg, and sank with over 1500 people still on board. The Titanic had very few pictures taken of her while at sea, and there were a few that were taken before she left for New York, but no matter where the pictures were taken they are amazing to see. 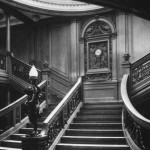 Here are 5 more amazing pictures of the RMS Titanic. There is nothing people at sea enjoy more than to take a stroll out on the deck. 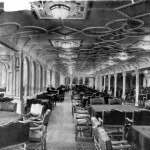 The Titanic had a nice enclosed promenade deck, that was lined with chairs, so passengers could take in the fresh air and sunshine, but also still be sheltered from the weather. 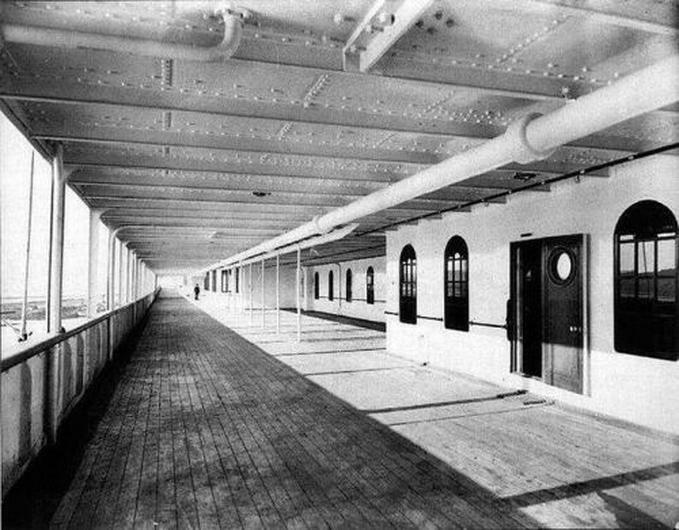 This photo shows the long beautiful deck that passengers used while they were on board the ship. Could it be Captain Smith himself walking these decks? 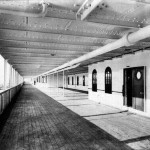 While it is hard to tell, many people have speculated that it is indeed the captain himself walking along the deck of his ship that was captured on film. 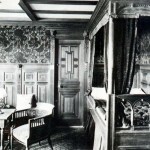 When it comes to accommodations, no ship either before or after Titanic could match it when it came to luxury. This image is a picture of one of the many rooms that were available for the First Class passengers. Each one of these fancy rooms had a brass bed, and their own bathroom, which is something no other class had. Those that traveled in Second or Third Class had to share rooms, and bathrooms too, with other passengers. 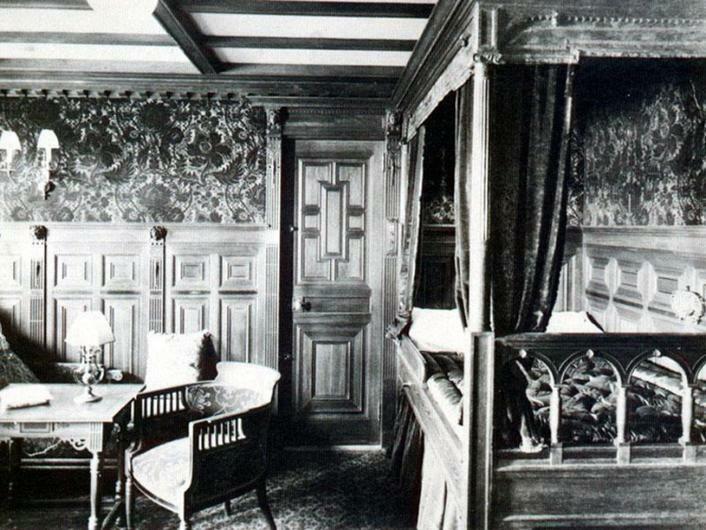 Some of the most luxurious rooms on Titanic, the special parlor suites on B deck, even had their own private promenade deck so they could enjoy the sea air in total privacy. The Titanic was fitted out with a total of 20 lifeboats, 16 that were regular, and four that were made of canvas. 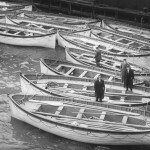 When the disaster struck, and the Titanic was sinking, all of the boats were put out to sea full of passengers. At around 3:30 in the morning, when the Carpathia showed up to rescue the passengers, she also took in the lifeboats. However, because of her small size, the Carpathia could only take 13 out of the 20 lifeboats. The other seven were left in the sea, and it is not known exactly what happened to them. 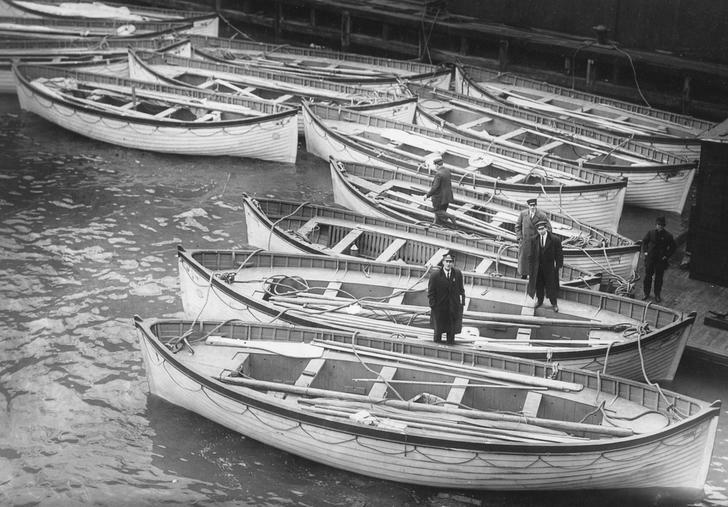 This pictures shows the 13 lifeboats Carpathia lowered into the White Star Line berth, and from there, they went to other ships for use. 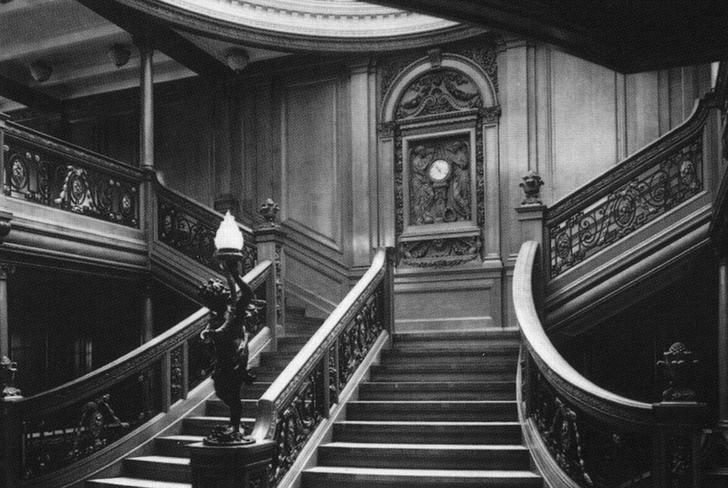 In the previous post, there was a picture of Titanic’s Grand Staircase, and here is another view of it. With this image, the beautiful ornate clock can be seen as well as the bronze angel statue holding a light that was at the very bottom. When the disaster struck, water poured in from the dome above, and actually knocked the angel off its pedestal. In 2015, the Titanic Exhibit in Las Vegas featured the little bronze angel, and thousands flocked to see the statue that once stood guard over the luxurious staircase on the world’s most famous ship. One of the luxuries about being in First Class was the best food in the world to eat. The First Class passengers had a dining saloon to eat in, and as seen in the above image, the room was quite fancy. The seats were leather, the tables were wide, and there was fancy wood carvings covering the ceilings. 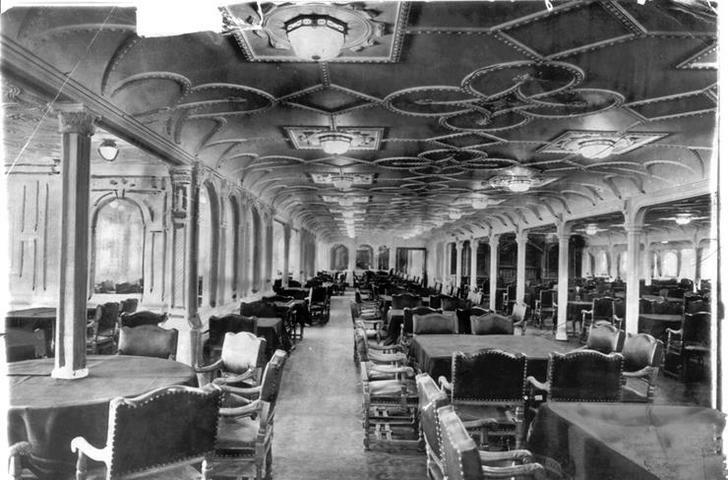 Across the room, as seen in one of the documentaries of James Cameron exploring the ship, there were also huge leaded windows that are still intact to this day. The food that was served to the First Class passengers was some of the best of their lives, and for some, it was their last meal. Pictures can be worth a thousand words, and the right picture of the right object, can be worth millions of words. 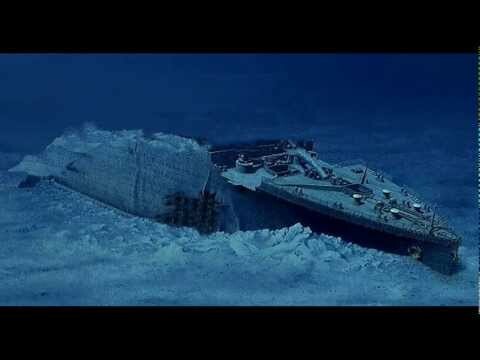 The RMS Titanic sank in 1912, but even though it was over 100 years ago, images of the doomed ship are still fascinating to this day, and people love to look at her before she sank to the bottom of the ocean. There are more posts to come involving the RMS Titanic, and these rare and beautiful images show just how amazing the ship was, and just how tragic her sinking truly was as well. 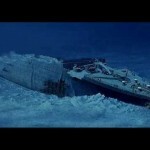 Titanic Mystery: What Happened to Her Lifeboats?